We here at BYLINED love the this pizza brand, we order their pizzas weekly. 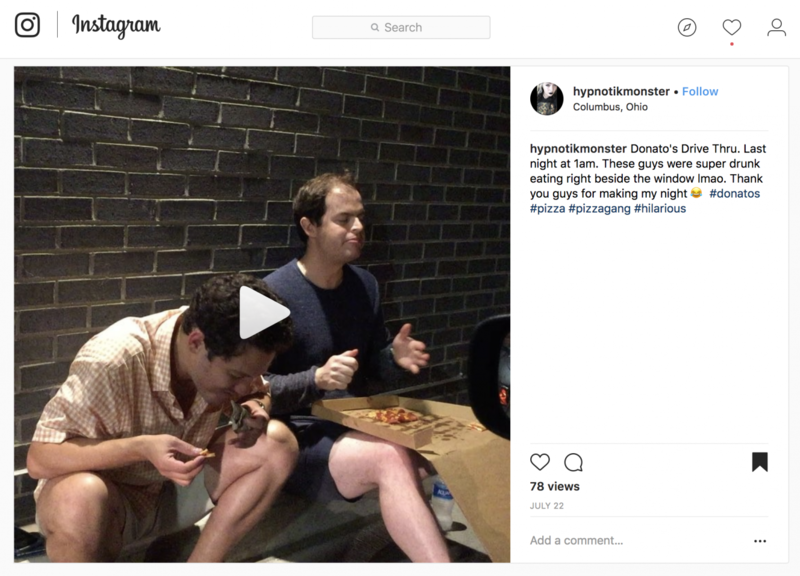 We’ve even run a few Assignments for them over the past year or so which is why when we saw this video on Instagram, though we giggled initially at the buffoonery, it gave us pause. As we were snacking on a large pepperoni, we asked ourselves… sure this is pure comedy. However, what if this exchange between customers went a step further? Makes us wonder why brands run the risk of allowing their branded hashtags to be used, and potentially compromised, this way.